Stocking up for Christmas seems so simple on paper. You write a list of the things you need for the big day (spiced nuts, ingredients for the cherry trifle, alcohol, potatoes, chocolate reindeer, THE TURKEY, alcohol...) But then it turns out that the butchers only stock turkeys to feed a table of 60 (or end up on someone's head, à la that 'hilarious' Thanksgiving episode of Friends), the fresh cherries aren't as fresh as you hoped they'd be, and the supermarket is all out of animal-shaped confectionary. Before you know it, you're rushing off to six different shops and feeling about as festive as Scrooge in a badly-fitting penguin onesie. There is a solution to your Christmas grocery woes – one that doesn't involve creating a domestically-superior clone of yourself. The Standard Market Company, one of Urban List's long standing favourites for groceries, and a new addition to the Gasworks precinct, stocks organic fruit and vegetables as well as fine quality meat, cheese and bread. The best part? You can find it all under the same roof. One glorious wiz around the grocer's Southport, Fortitude Valley or Newstead store will have even the trickiest of festive shopping lists begging for mercy. Because it's Christmas, we're going the extra mile and making things even easier for you with a list of The Standard Market Company's best Christmas goodies. Get ready for a serious supermarket sweep. What is Christmas without a cheese board? That platter of deliciousness served at the midpoint between dessert and the inevitable feeling-too-full-to-ever-move-from-this-chair-again feeling. Standard Market's Newstead store has an entire wall of cheese to choose from, including Christmas favourites like Blackall Country Cheese's triple cream brie and goat camembert from Pico. With thick white icing, delicately spiced gingerbread and generous sprinklings of gummy lollies, it's almost a shame to bite into one of Standard Market Company's beautiful gingerbread houses. We said almost... (cue us ripping the roof off and shoving it in our mouth). Standard Market is now taking orders for its Christmas meats. Choose from fresh organic turkey, seasoned turkey buffets and whole duck. Just don't spend too long deliberating; orders must be in by December 20. If you're looking for an alternative Christmas dinner centrepiece, try Standard Market's leg ham. Sourced from the Bungalow Sweet Pork Company in NSW, the meat is ethically farmed and deliciously tender. Perfect as a present, but also good for smearing over crusty bread with leftover ham (the best! ), preservatives are an understated Christmas staple. Standard Market favourites include gourmet jams from the Gold Coast's 'jam man', Paul Grainger and Simon Johnson Clementine Marmalade. 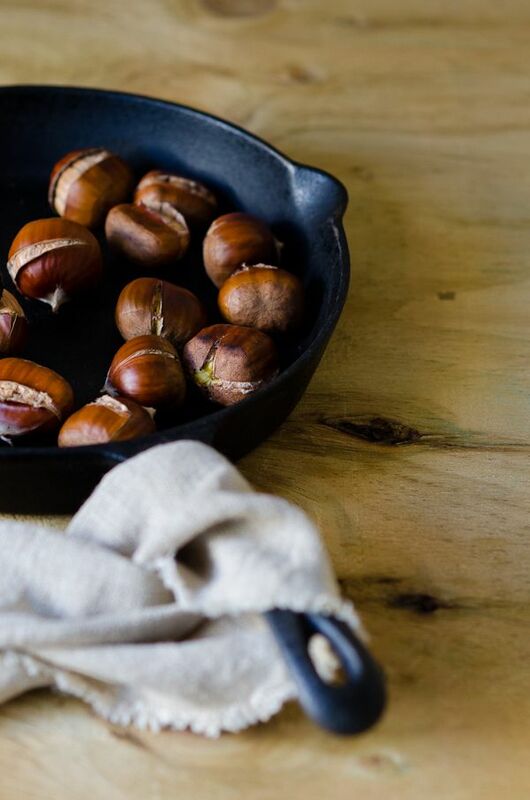 Okay, so we might not have open fires or Jack Frost nipping at our nose, but thanks to The Standard Market Company, we can get the roasted chestnuts bit right. Find the traditional Christmas treat in the fruit and veg aisle. The Standard Market Company at James Street is the place to go for your smoked salmon this year. Caught from Noosa River, the store's fish selection also includes mustard and dill gravlax and pastrami gravalax. Black Forest Gateaux, fruit trifle, strawberry meringue and, of course, the Pavlova. Nothing rounds off Christmas dinner like fresh berries and mounds of whipped cream. Find the juiciest blueberries, raspberries and gooseberries, among other seasonal fruits, at any of The Standard Market Company stores.